Creepy Horror Comics Warren Publications Vol. 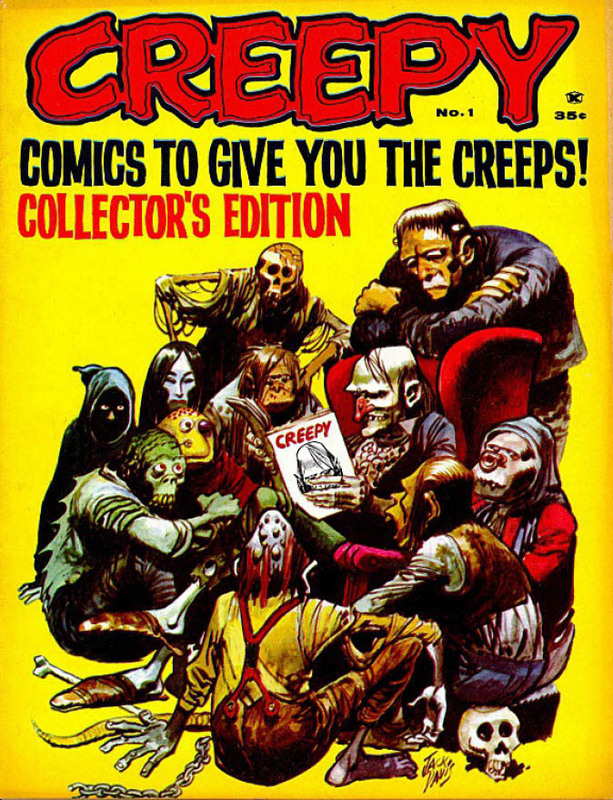 1, issues 1-10 | Books Inc.
Creepy Horror Comics Warren Publications Vol. 1, issues 1-10. 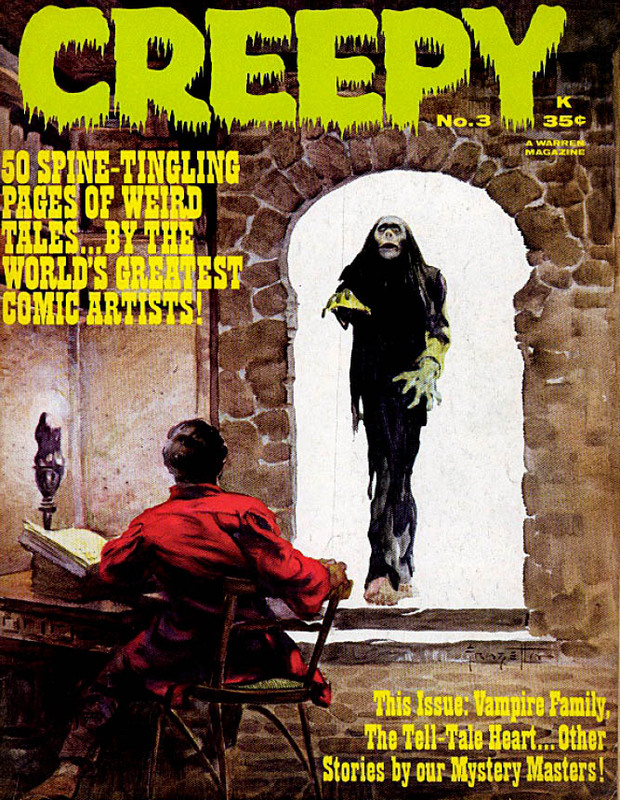 Warren Publication was a publisher of black-and-white horror anthology comics magazines. When the Comics Code Authority cracked down on the comic book industry in 1955, horror comics all but faded from the scene. 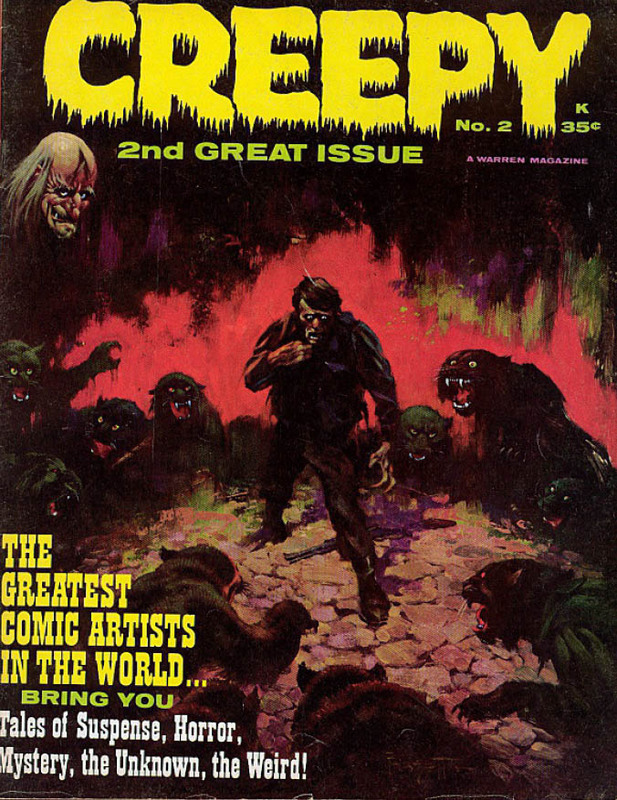 Enter Creepy magazine, publisher James Warren's tribute (after a fashion) to EC's vaunted horror comics line, which couldn't survive the Code's strong-arm censorship tactics. Magazines weren't subject to the same rules, giving Warren the freedom to publish more mature content. Titles published during their 15 years of operation included Weird, Horror Tales, Terror Tales, Tales from the Tomb, Tales of Voodoo, and Witches’ Tales. All of these magazines featured grisly, lurid colour covers. 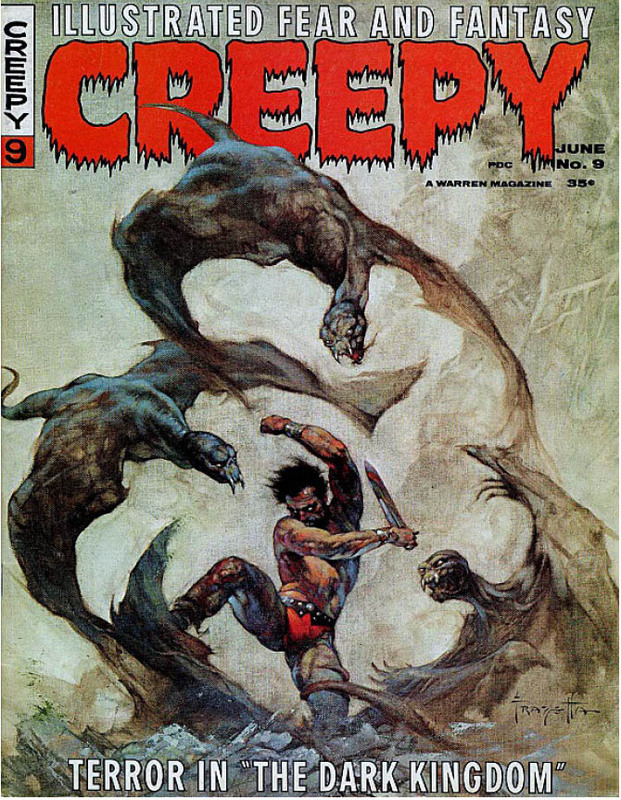 Stories in the very first issue of Creepy (included in this digital collection) include: Voodoo by Bill Pearson and Joe Orlando; H2O World! 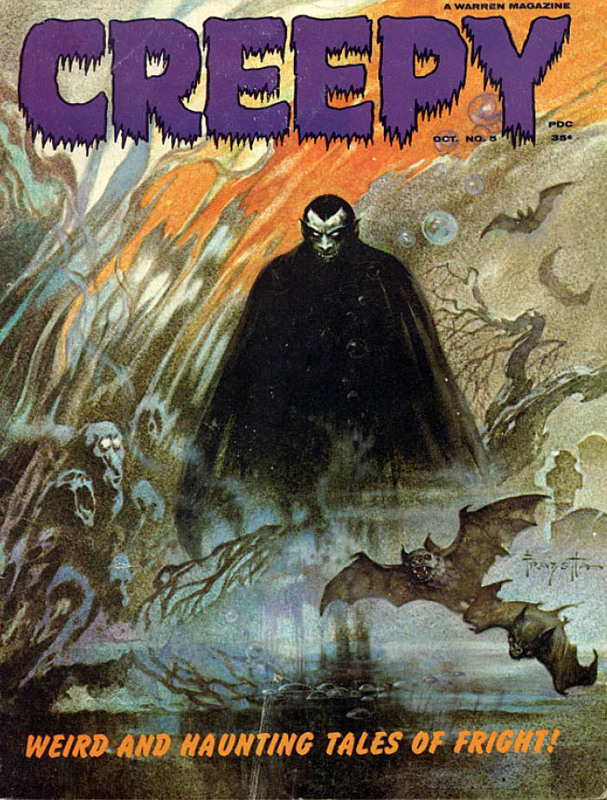 by Larry Ivie, Al Williamson, and Roy G. Krenkel; Vampires fly at Dusk! 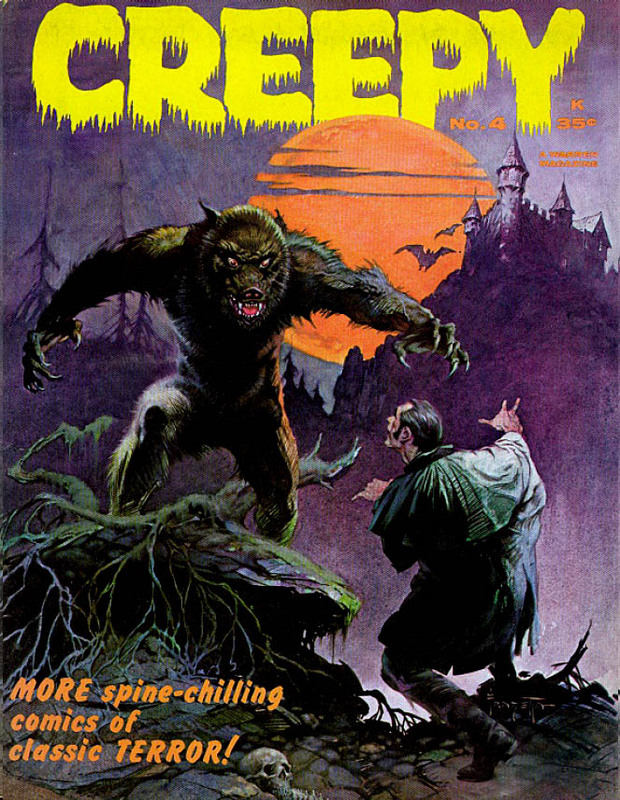 by Archie Goodwin and Reed Crandall; Werewolf! by Larry Ivie and Frank Frazetta; Bewitched! by Larry Ivie and Gray Morrow; The Success Story by Archie Goodwin and Al Williamson; and Pursuit of the Vampire! by Archie Goodwin and Angelo Torres. 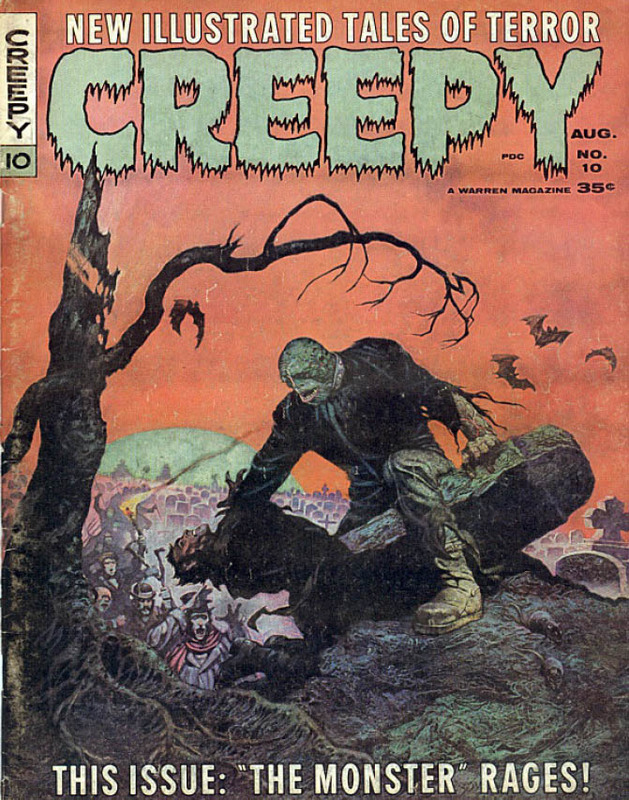 Features the first appearance of Uncle Creepy. 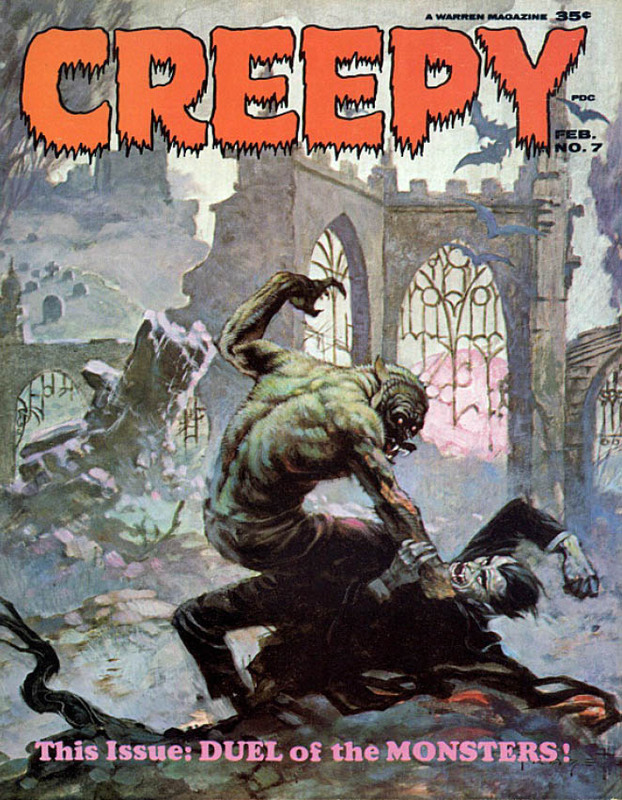 Cover art by Jack Davis. 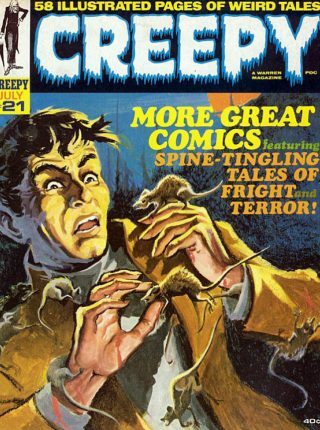 Creepy Horror Comics Warren Publications Vol. 1, issues 1-10. 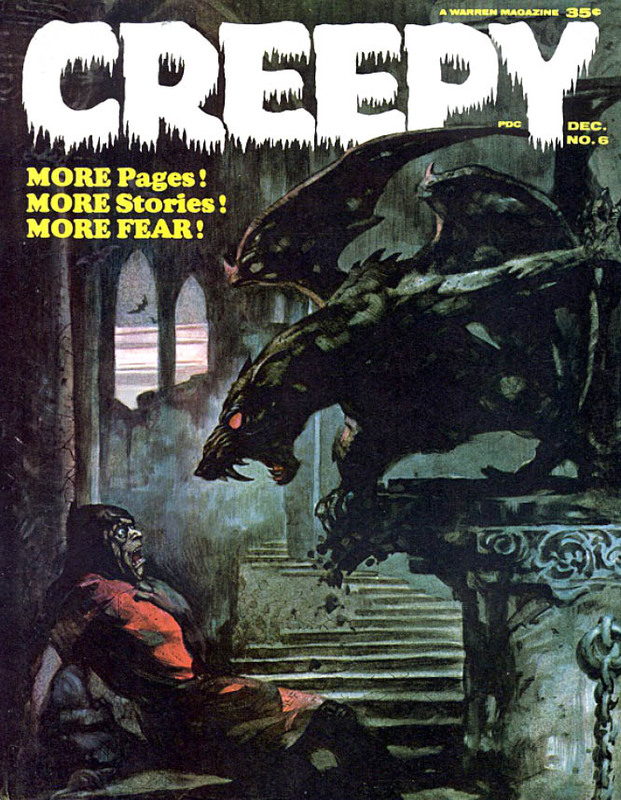 Warren Publication was a publisher of black-and-white horror anthology comics magazines. When the Comics Code Authority cracked down on the comic book industry in 1955, horror comics all but faded from the scene. 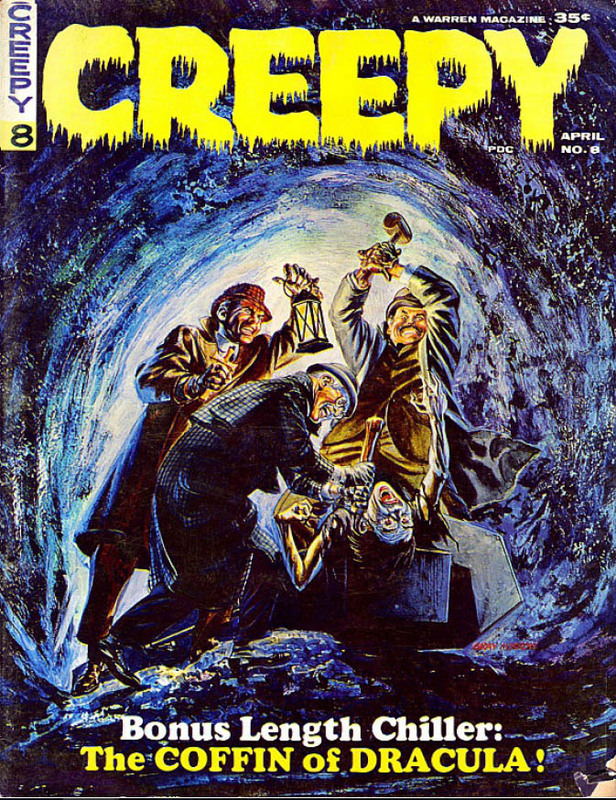 Enter Creepy magazine, publisher James Warren’s tribute (after a fashion) to EC’s vaunted horror comics line, which couldn’t survive the Code’s strong-arm censorship tactics. Magazines weren’t subject to the same rules, giving Warren the freedom to publish more mature content. Titles published during their 15 years of operation included Weird, Horror Tales, Terror Tales, Tales from the Tomb, Tales of Voodoo, and Witches’ Tales. All of these magazines featured grisly, lurid colour covers.